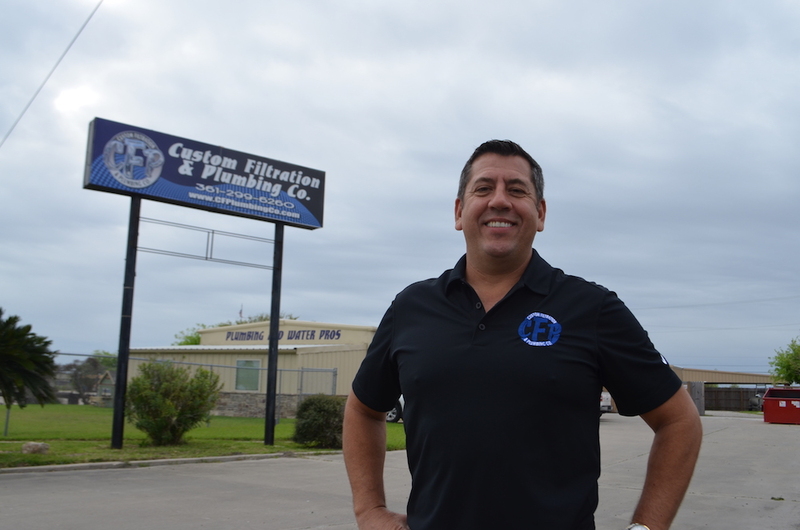 Growing up in Corpus Christi as a native of the Annaville community, James Michael “Jim” Horman never imagined he would become a plumber, much less the current president and CEO of Custom Filtration and Plumbing Co.
His father’s ethic of hard work inspired him to achieve as well. A few years after graduating, Horman married his high school sweetheart, Susie, and the young couple started a family. Horman decided to join the U.S. Air Force Reserves to gain direction in his life. After returning from training, he discovered plumbing and began work at the Gentry Co. The Gentry Co. placed Horman in the apprenticeship program, and from there, he became a foreman, running jobs. In 1994, he decided he was ready to branch out on his own, testing for his master plumbing license and starting with just a few employees. Horman credits his mentors for his success through the support they gave him, naming Jim Cameron and Hoyt Gentry, a close friend’s father. They helped with advice, not just with the plumbing but also with the business. In 1996, Horman’s company officially became a corporation. In addition to regular plumbing services, Horman also contracted for a water treatment company, hence the company name Custom Filtration and Plumbing Co. 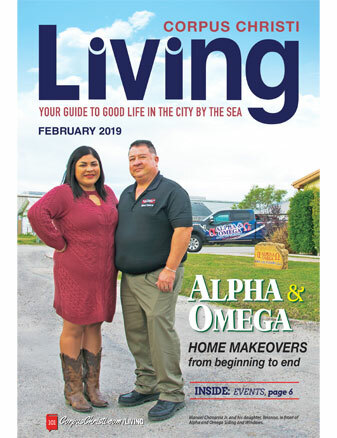 According to Horman, Corpus Christi was going through major plumbing reroutes, replacing leaking cast-iron drain pipes underneath the foundation of older homes. Insurance companies were paying plumbers to replace the old piping. Horman’s eldest son, Brooks, joined the company when he was 19. Brooks Horman is now the vice president of construction for Custom Filtration. He facilitates the crews, handles interactions with superintendents and provides both service work and water treatment work. Custom Filtration and Plumbing Co. also carries its own line of water treatment filters and equipment. Rounding out the family business is matriarch and wife, Susie, who takes care of human resources, payroll, accounting, bookkeeping and reception. According to Horman, Susie is the heart of the business. Daughter-in-law Nicki, wife of Brooks, has been apprenticing under Susie for the past four years. His vision for the company, which is currently 80 percent residential new construction and light commercial and 20 percent consumer, is to expand a larger percent of its services in the consumer sector. For Horman, being a family-owned company means customer service is a top priority. As for the professionals who comprise the Custom Filtration and Plumbing Co. family, Horman is confident in their abilities to deliver quality service. As for plumbing advice this spring, Horman recommends having a plumber do maintenance at least once a year. He also suggests regularly flushing out your water heater to extends its life and replacing the anode rod, which naturally corrodes. “If you don’t, more of the metal will corrode, creating a leak and costing you $1,000 to have a plumber replace the water heater,” Horman warned. Custom Filtration and Plumbing Co. is located at 9233 Leopard St. in Corpus Christi. For more information, call (361) 299-6260 or visit cfplumbingco.com.